Milena Baisch was born in Bochum in 1976 and grew up in Wuppertal. From 1998 to 2000 she attended the Script Academy of the Deutsche Film- und Fernsehakademie in Berlin. In 1997 she made her debut as an author with »Freundschaftsgeschichten« (tr. Friendship Stories). Her first and so far only novel for young adults, »Blumen im Bauch« (tr. Flowers in the Belly), appeared in 2007. Through shrewd observation she depicts the experiences of 15-year-old Maja and sensitively handles themes like first love and the problems of growing up. At the heart of »Anton taucht ab« (2001; en. »Anton and Piranha«), Baisch’s first novel for children, is a boy who imagined that the lakeside vacation with his grandparents would be a big adventure, but who is soon disappointed when he gets there. There’s no pool, and Anton is unimpressed with the murky lake – until he gets to know a fish he names Piranha. Baisch’s story centers on everyday concerns and offers strategies on how to overcome them. »Anton and Piranha« is strange, funny and highly literary. In 2011 the book won the Deutscher Jugendliteraturpreis for best children’s book, impressing the jury with its »ironic disruption of the adventure hero story« and its »thrilling narrative exuberance«. Baisch continues the story of her young hero in »Anton macht’s klar« (2012; tr. Anton Makes Things Clear). This book is distinguished by a sensitive narrative voice and offbeat humour. Anton’s longing for »Roolys«, sneakers with wheels, involves him in yet another adventure. »Being different« is at the heart of the narrative: Anton is different because his parents are not as affluent as his schoolmates’ parents. Despite their casual tone, »Anton and Piranha« and »Anton macht’s klar« are books which take children – and the subjects which preoccupy them – seriously. However, it would be wrong to categorize them as »issue« books. They are more aptly described as good literature for children: with great empathy and the gift of close observation Baisch finds coherent literary images for her young protagonists’desires and anxieties. With these two books Baisch has brought her own distinct voice to German contemporary children’s literature. 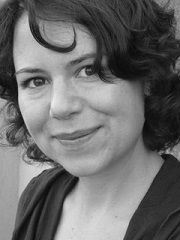 Milena Baisch also writes film, television, radio and theater plays for children. As well as the Deutscher Literaturpreis she has also received the Deutscher Kinderhörspielpreis for »Anton taucht ab«, and was awarded the Grips Theater’s Berliner Kindertheaterpreis in 2013 and in 2014 the Müllheim Kinderstückepreis for her play »Die Prinzessin und der Pjär« (tr. The Princess and the Pjär). A year later she received a development fund from the initiative »Der besondere Film« for the TV series concept »Fire Friends – Please hurry!«, which she pitched together with the Berlin production company Mafilm. Milena Baisch lives in Berlin.